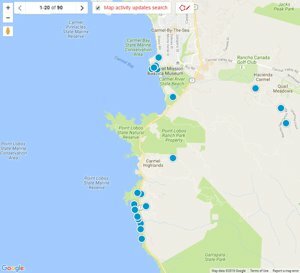 Search all Carmel Ocean View real estate listings for sale in Carmel on one easy to use website. This Page shows the latest ocean view homes for sale in Carmel, CA. Ocean view real estate in Carmel is possible in just about every Carmel neighborhood based on the topology of steep hills sloping away from Carmel Bay and the Pacific Ocean. 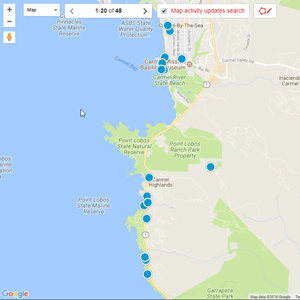 It is normal for many homes that are on the market to have anywhere from a great front line ocean view of Point Lobos and Carmel Bay to small ocean view peeks of the Pacific. Obviously the quality of the ocean view along with the type of Carmel home and the condition it is in can all have a great effect on the price of real estate here. If you want a piece of Carmel real estate with a great ocean view, be prepared to open your check book wide because it will not come cheap! Carmel homes with great ocean views will start around $1,000,000 and can go up to $20,000,000! 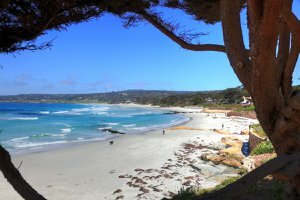 Carmel-by-the-Sea and especially the Golden Rectangle area of Carmel is known for having some of the most incredible ocean view real estate in all of California. The scenic beauty of Carmel, CA is mesmerizing and the ocean view changes as the year goes by. Real estate near Carmel Beach offers home owner’s ocean views of Carmel Bay with the waves gently falling on the white sand most of the year. However in the wintertime, the ocean views in Carmel will change dramatically and can include 20 foot waves pounding the shore and taking over the entirety of Carmel Beach. In years past, the winter storms have been large and ferocious enough to literally take the Carmel Beach real estate and sweep it out to sea! The city of Carmel had to bring in more sand to recover that which had been lost! Carmel real estate on Carmel Point have some ocean views looking down Carmel Beach, but mostly the real estate on Carmel Point has ocean views of Point Lobos and Carmel River State Beach, including the Carmel lagoon and wetlands. These are some of my favorite ocean views in all of Carmel. The picturesque rocky shoreline of Point Lobos with large winter waves crashing into it is an incredible ocean view that can't be seen anywhere else in the world, making this Carmel ocean view real estate extremely valuable. Our website has detailed information including Carmel real estate statistics. 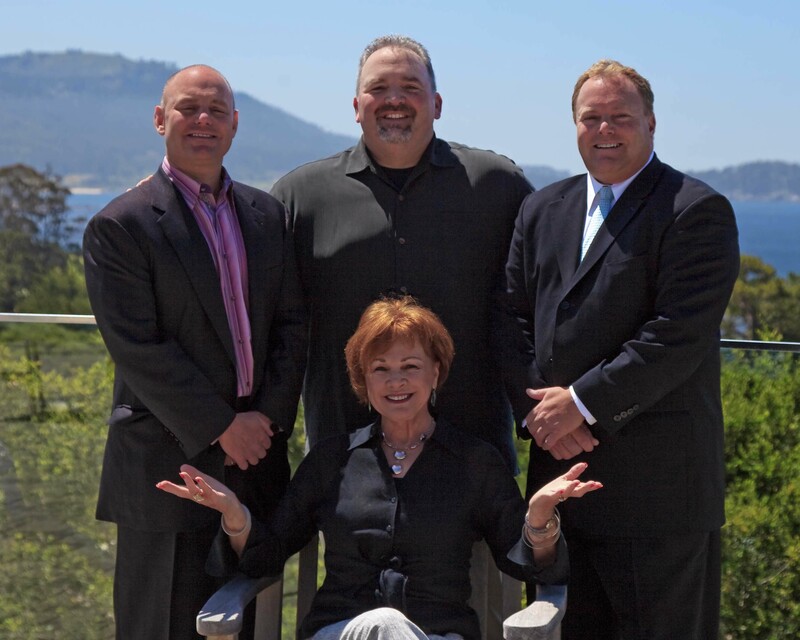 If you are interested in learning more about real estate values in Carmel, CA or if you are interested in buying ocean view real estate in the Carmel area, contact us. 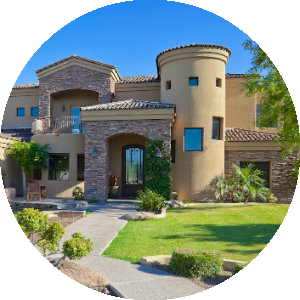 If you are looking for Carmel real estate for sale with incredible ocean views, you can start your search below where you will find the latest listings of ocean view real estate in Carmel. For a full list of ocean view homes that are available in Carmel, you can build an advanced search or to have us do it for you, contact us.